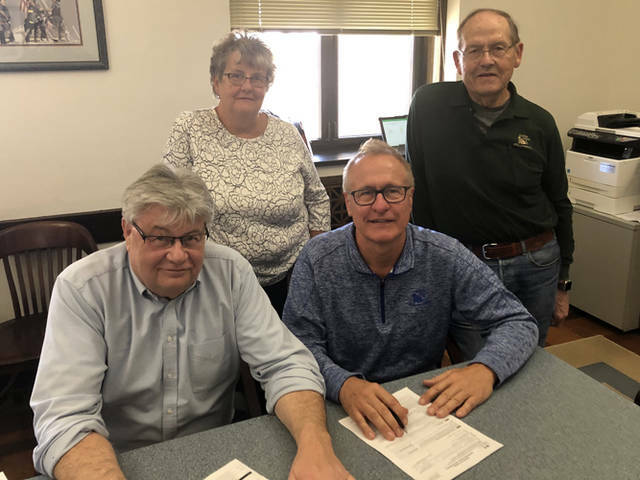 Cooper Farms finalized its asset acquisition of Hemmelgarn & Sons, Inc. Pictured are (front row, l-r) Tad Gross, Gary Cooper, (back row, l-r) Dianne Cooper and Jim Cooper. PHILOTHEA – Cooper Farms finalized its asset acquisition of Hemmelgarn & Sons, Inc., helping to further grow the egg portion of its business. Gross, along with the other managers and team members of the company, are now members of the Cooper Farms team. The contract farmers also have transferred any contracts to Cooper Farms. Cooper Farms held a banquet for all of the Hemmelgarn & Sons team members and growers on March 11 to welcome them and answer any questions they might have had.